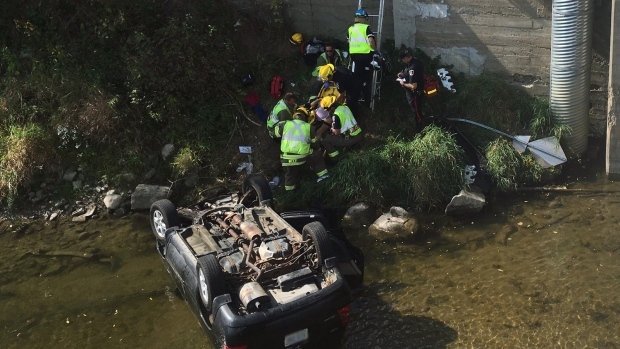 A bystander pulled an 80-year-old woman out of her SUV after a collision left the vehicle upside-down in the Grand River. 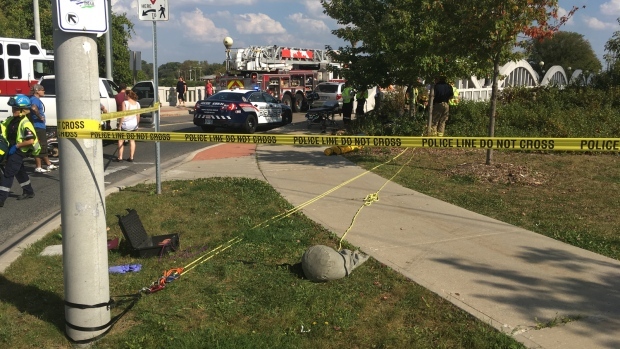 The SUV and a minivan collided somehow – at the time this article was published, police had yet to ascertain the exact details – around 2:30 p.m. Tuesday, in the roundabout at Bridge and Lancaster streets in Kitchener. Following the collision, the SUV ended up crossing an embankment and landing in the river, on its roof. 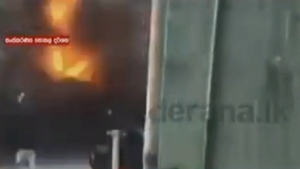 The driver was inside. 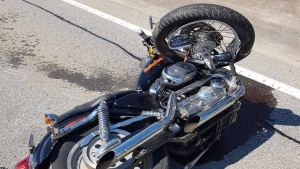 One woman at the scene told CTV News that a man who witnessed the crash immediately jumped into action. “An amazing gentleman jumped down the bank, pulled her out of the car, saved her life,” the woman said. Emergency crews arrived a few minutes later. They were seen giving medical attention to the driver along the river’s shoreline, beneath the Bridgeport Bridge. The woman was described as being conscious and alert when she was pulled from the water. The driver of the minivan was not injured. 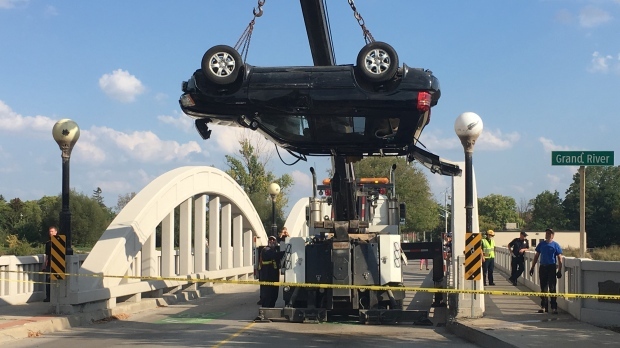 Bridge Street was closed between Lancaster and Woolwich into the evening hours as police investigated the collision and equipment was brought in to remove the SUV from the water.